Performed on a set that was a mix of Top Cat’s alley and the rubbish dump from the musical Cats, four characters appear bizarrely dressed while desperately expressing their emotions through extreme acrobatics and creative interpretations. The show emerges from a cast who slowly reveal their bodies and talents to the audience using weird and puzzling sequences, leaving the audience wondering what it is all about. These sequences are accompanied by a highly original score created from items in the pile of shopping trolley rubbish on stage. Created by the all-male international circus company Svalbard, it all hots up when one figure, who had been hovering at the back creating the sound track, moves forward and takes centre stage. He was tall and commanding, emphasised by six-inch high-heeled women’s shoes. He wore a pilot’s hat, topped with huge antlers, his ruby red lips and long curly hair adding to the androgynous look. He tantalisingly began unbuttoning his long, brown velvet coat to expose a beautiful physique. Not only did this man have a voice of an angel, he had the face of a woman and the body of a stallion. The musical high point was a version of Papageno-Papagena from Mozart’s Magic Flute. 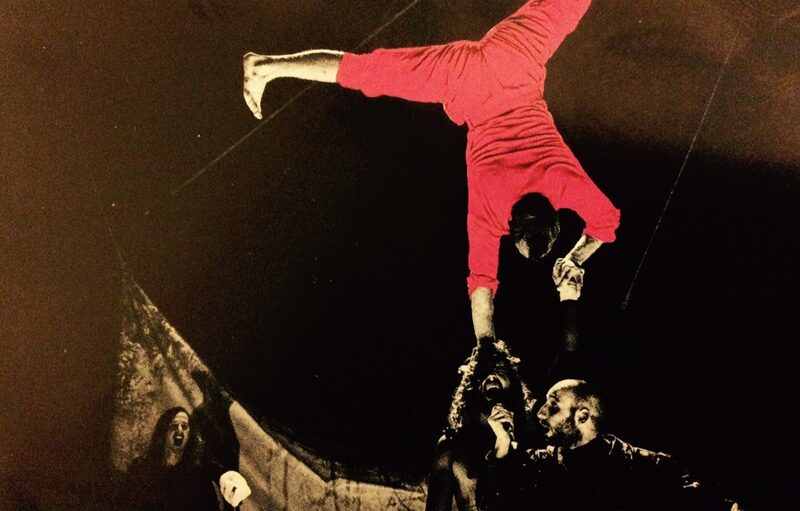 The whole show came alive, teasing the audience and leaving them gasping in disbelief as the cast performed some fast moving and unique circus tricks, where timing and choreography was tested to the full. It was like watching a surreal piece of moving art. The last 20 minutes were sensational and the cast left the stage to a standing ovation after experiencing a show that was thought-provoking and truly cutting edge circus theatre. Highly recommended if you are looking for something a little different.